The General Manager, Mr. Mark Saint-Julien, and the entire team wish you a warm welcome to the Novotel Dakar hotel. Come and enjoy a warm welcome and a pleasant stay in the heart of the capital of Teranga hospitality. 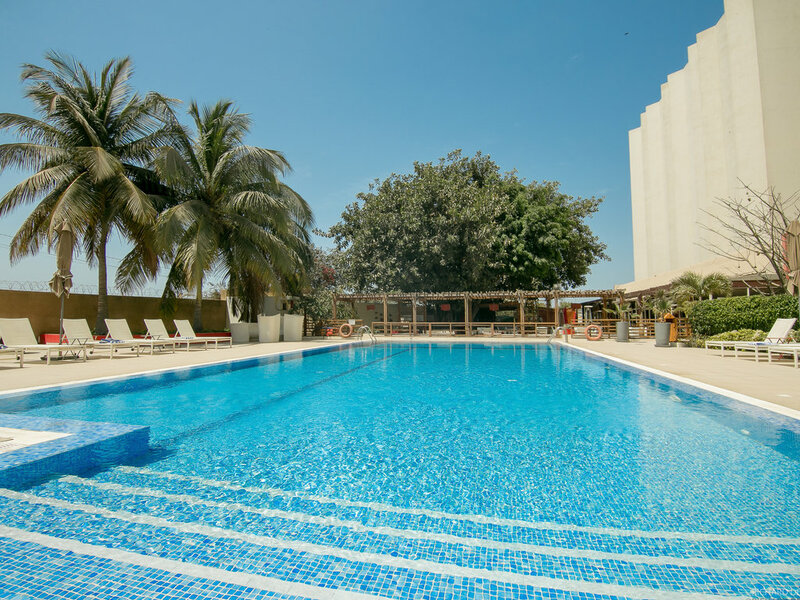 Enjoy a dream stay at the Novotel Dakar, a 4-star hotel located in the city center, on the Corniche seafront opposite Gorée Island. Our 241 rooms are all equipped with free WIFI, safe, minibar, air conditioning and flat-screen TV. Organize your events in one of our 11 meeting rooms. The hotel boasts a restaurant, lounge bar, outdoor terrace with views of the swimming pool and a free private car park. Spacious room with twin beds, overlooking the town. Spacious room with twin beds, overlooking the sea.